The following list includes source material for the superhero genre and its close relatives. 1602, by Neil Gaiman (Marvel, 2003). An ingenious historical "what if" that places classic Marvel heroes in time of James I.
Batman: The Dark Knight Returns, by Frank Miller (DC, 1986). One of the main sources for the darker heroes of the 1980s. Adapted as an excellent animated feature. JSA: The Liberty File (DC, 2000) and JSA: The Unholy 3 (DC, 2003). Re-creates many Golden Age DC superheroes in a pulp style, as secret agents operating during World War II. Kingdom Come, by Mark Waid (DC, 1997). An apocalyptic treatment of the near future of the DC universe. Mage: The Hero Discovered, by Matt Wagner (Comico, 1984-1986). The Pendragon is reborn in modern America and pursued by supernatural foes. Marvels, by Kurt Busiek (Marvel, 1994). A retelling of the history of the Marvel universe in a "superheroes in the real world" style. Planetary: All Over the World and Other Stories, Planetary: Who Is the Fourth Man, Planetary: Leaving the 20th Century, by Warren Ellis (Wildstorm, 1999-2007). Reinvents the superhero genre in a series about superpowered archaeologists of the impossible. Top 10: The Forty-Niners, by Alan Moore (America's Best, 2005). The historical backstory of Moore's comedic police procedural in a superheroic city. Excellent evocation of the post-World War II era. V for Vendetta, by Alan Moore (DC, 1988). A superhuman anarchist wages a one-man war against a totalitarian future United Kingdom. Deliberately melodramatic and theatrical, and brilliantly so. Watchmen, by Alan Moore (DC, 1986-1987). An alternative history of an America with real costumed heroes; one of the classics of the genre. Adapted as a movie in 2009, in three increasingly lengthy cuts which garnered mixed reviews. Allston, Aaron, Doc Sidhe (Baen, 1995). A pastiche of Doc Savage set in the world of the Fair Folk – unusual, but well thought out and well written. McCulley, Johnston, The Curse of Capistrano (Forge, 1998, as The Mark of Zorro). The book that created the Zorro mythos; light but still readable. Orczy, The Baroness, The Scarlet Pimpernel (Signet Classics, 2000). The hero is often considered the first example of a secret identity in the superheroic sense. The novel combines espionage and romance against the background of the French Revolution. Robeson, Kenneth, Doc Savage: The Man of Bronze (Bantam, 1979). The first of a long series of pulp novels about a classic Renaissance man hero. Martin, George R.R. (editor), Wild Cards series (Bantam, 1987-). A shared world anthology series devoted to a speculative treatment of superheroes. Stapledon, Olaf, Odd John, in Odd John and Sirius (Dover, 1972). The source of the species name Homo superior; one of the first and one of the best stories about a superhuman. Vinge, Vernor, "True Names," in Binary Star #5 (Dell, 1981). Not usually thought of as a superhero story, this proto-cyberpunk novel fits the formula surprisingly well: Its hero has a secret identity, amazing powers, and ethical restraint in using them. Wylie, Philip, Gladiator (Bison, 2004). Often considered the model for Superman, Wylie's hero is a much more tragic figure. Zelazny, Roger, Lord of Light (EOS, 2004). Mutated by their travel through space, colonists on an alien planet proclaim themselves to be gods. Remote from the superhero formula but has some brilliant portrayals of superpowers in action. Batman Begins (Christopher Nolan, 2005). The first Batman film to capture the serious post-Frank Miller Batman. Captain America: The First Avenger (Joe Johnston, 2011). Excellent handling of Cap's WWII origin story, as more of a war movie than a superhero flick. Hellboy (Guillermo del Toro, 2004). A mostly humorous treatment of hidden and weird heroes and secretive agencies, with good acting and special effects. The Heroic Trio (Johnny To, 1993). Not always coherent, but entertaining, with three very different superheroines teaming up to save Hong Kong from an insane sorcerer. The Incredibles (Brad Bird, 2004). Animated. Mostly humorous but not satirical rendition of superheroes – neatly balanced between four-color formulas and realistic touches. The Iron Giant (Brad Bird, 1999). Animated. Not really a superhero film, but a moving portrait of a superhuman being – and of the inspirational quality of superheroes. Iron Man and Iron Man 2 (Jon Favreau). Robert Downey, Jr. is Tony Stark in these movies, which borrow significantly from the Demon in a Bottle storyline. Along with The Incredible Hulk, Thor, and Captain America (above), they also lead to the formation of The Avengers and anchor the wildly successful Marvel Cinematic Universe. Iron Monkey (Yuen Woo-Ping, 1993). Portrays the Chinese martial arts hero Wong Fei-Hong as a young boy – and his meeting with a masked adventurer, the Iron Monkey. Excellent martial-arts scenes. Kill Bill (Quentin Tarantino, 2003) and Kill Bill 2 (Quentin Tarantino, 2004). The Bride is more antihero than hero, but she has incredible fighting abilities, an origin story, and not one but two pseudonyms – and the combat scenes are models of cinematic fighting skills in action. The Mark of Zorro (Fred Niblo, 1920) and The Mark of Zorro (Rouben Mamoulian, 1940). The 1920 film turned Douglas Fairbanks into an action hero; the 1940 version, with Tyrone Power, became the classic film treatment. The Mask of Zorro (Martin Campbell, 1998). The training sequences between the original, aging Zorro and his chosen successor are first-rate. My Super Ex-Girlfriend (Ivan Reitman, 2006). Uma Thurman and Eddie Izzard give superb comedic performances as superhero and master criminal. Mystery Men (Kinka Usher, 1999). An entertaining film about second-string superheroes stepping in to save the day. The Scarlet Pimpernel (Harold Young, 1934). Another classic proto-superheroic film; the tensions of a dual identity are well handled. Sky High (Mike Mitchell, 2005). Neither the message nor the characterization is subtle, but this is the most sustained film treatment of a school for superheroes. Spider-Man, Spider-Man 2, and Spider-Man 3 (Sam Raimi). An entertaining and well-made updating of the Marvel character. The franchise has since been rebooted with The Amazing Spider-Man and The Amazing Spider-Man 2 (Marc Webb). Superman (Richard Donner, 1978) and Superman II (Richard Lester, 1980). The first really successful portrayal of superpowers in live action film. Unbreakable (M. Night Shyamalan, 2000). A psychologically realistic exploration of the idea of potential superheroes existing in the real world. V for Vendetta (James McTeigue, 2005). A lone, ruthless hero – or antihero – fights against a dystopian future England. Not exactly like the graphic novel, but intense and imaginatively visualized. X-Men, X2, and X-Men: The Last Stand (Bryan Singer). Three of the best films in the genre in recent years; the continuity is different from that of the comics, but the themes are still there. Zorro, the Gay Blade (Peter Medak, 1981). Possibly the most memorable parody of the genre, with long-lost twin brothers playing the role of Zorro. Agents of S.H.I.E.L.D. (2013-). The televised component of the Marvel Cinematic Universe, this series ties the post-Avengers movies together by focusing on one team of agents and a broader historic scope. Arrow (2012-). The origin story and early career of Oliver Queen/Green Arrow, this series promises to do for DC television shows what Iron Man did for Marvel movies. It has already spawned The Flash (2014-), which should not be confused with the 1990 series. Batman (1966-1968). 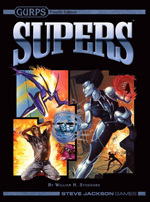 This series created the "camp" formula for superheroes. Batman (1992-1995). Animated. Visually elegant, this series recreates the Batman mythos to capture the essence of the character. Buffy the Vampire Slayer (1997-2003). Primarily horror – sometimes humorous, sometimes serious – this series consciously evokes the idea of superheroism, and explores the costs of superhuman abilities. The spinoff Angel (1999-2004) has an even wider range of superhuman abilities. The Greatest American Hero (1981-1983). An almost entirely humorous treatment of the formula. Heroes (2006-2010). A successful recent speculative treatment of superpowers, with a large cast and a complex interweaving of their storylines. Lois & Clark: The New Adventures of Superman (1993-1997). Part comedy, part love story, this series focused on the human side of being a superhero. The Lone Ranger (1949-1957). This long-running series created the best-known version of its Western masked hero. The Six Million Dollar Man (1974-1978). 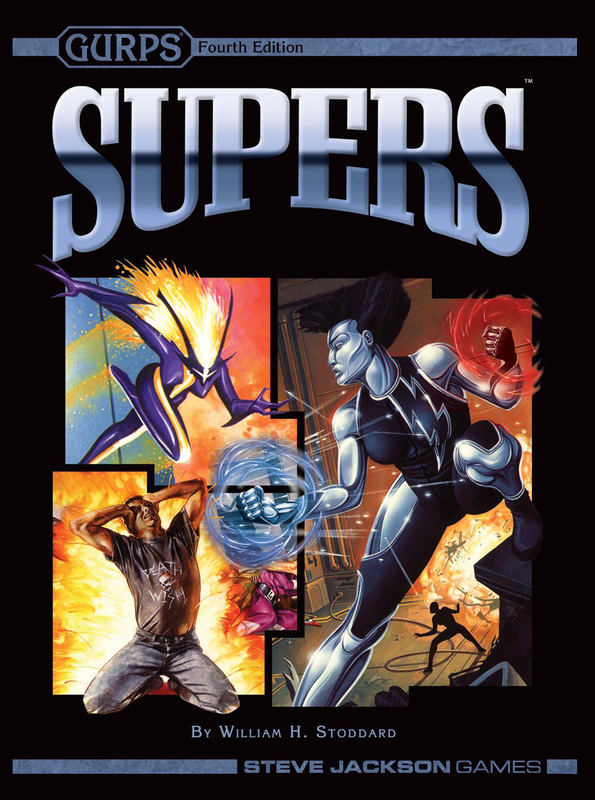 A hidden hero series with a government-created cyborg being sent on secret missions. This series spun off and crossed over with The Bionic Woman. Smallville (2001-2011). Part action-adventure, part soap opera, this popular series explores Clark Kent's life before he became Superman. The Tick (1994-1997). Animated. A classic parody superhero series. Zorro (1957-1959). One of the major sources for the current form of the Zorro mythos. Cambpell, Joseph, The Hero with a Thousand Faces. Does not discuss comics directly, but useful for the mythic patterns that underlie many superheroes, and that some recent comics draw on consciously. Farmer, Philip José, Doc Savage: His Apocalyptic Life (Doubleday, 1973). One of the primary sources for the Wold Newton Universe, which combines most of the fictional adventurers of the 19th and 20th centuries into a single invented continuity. Jones, Gerard, Men of Tomorrow: Geeks, Gangsters, and the Birth of the Comic Book (Basic Books, 2004). A first-rate literary history of the superhero genre and the comics where it was published, from the 1930s through the 1960s. Morris, Tom, and Morris, Matt, Superheroes and Philosophy: Truth, Justice, and the Socratic Way, Popular Culture and Philosophy, Vol. 13 (Open Court, 2005). A collection of essays on topics ranging from ethical justifications for superheroism to the metaphysics of personal identity, mostly written in an accessible style. Nevins, Jess, The Encyclopedia of Fantastic Victoriana (MonkeyBrain, 2005). A massive reference work on its era, including many characters now recognizable as proto-superheroes. Rovin, Jeff, Encyclopedia of Superheroes (Facts on File, 1987) and Encyclopedia of Supervillains (Facts on File, 1988). Not current, but useful historical references.